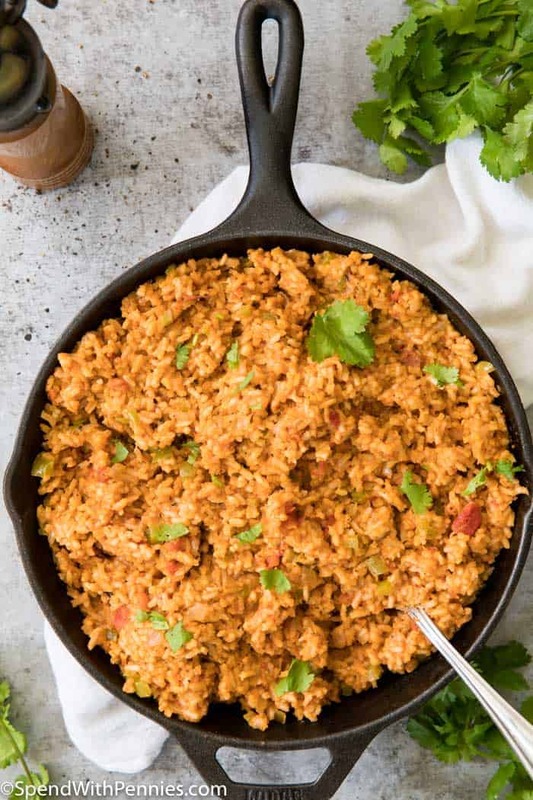 Spanish Rice (or some people call it Mexican Rice), this festively flavored side dish is a guaranteed winner around the dinner table. A simple Spanish Rice can be made in just one pot, and it is easily adjustable to be as spicy (or not spicy!) as you’d like! 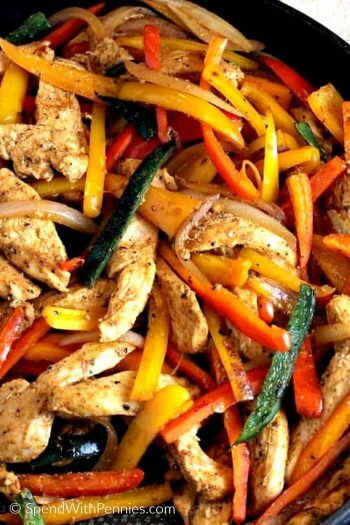 We serve this along side tacos, fajitas or even grilled chicken or steak! 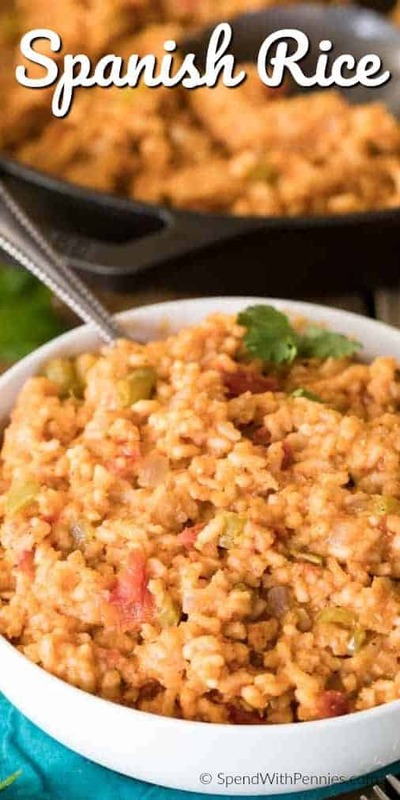 Spanish rice (also commonly known as Mexican rice) is a simple but incredibly flavorful side dish that pairs well with so many different dinner options (like Shrimp Fajitas). 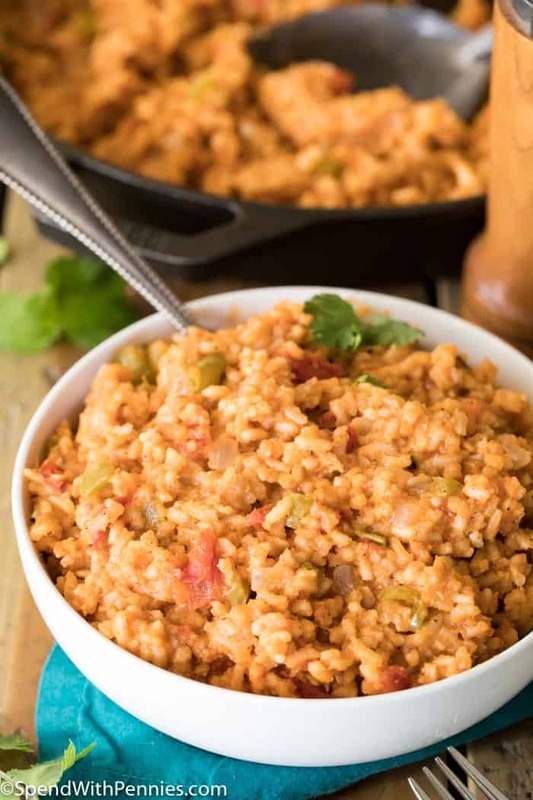 You’ll see how to make Spanish Rice with just a handful of ingredients, one pot, and a few simple ingredients. 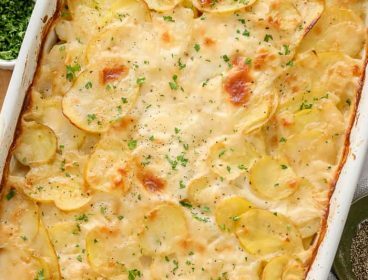 You can have this easy side dish on the table in under thirty minutes. 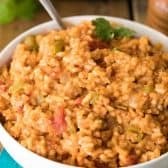 Plenty of recipes use fresh tomatoes, and while you can certainly substitute them here, after a lot of trial and error, I’ve found that using canned diced tomatoes (preferably fire-roasted ones) not only makes this rice much easier to make, but it actually makes the flavor even better. How Do You Make Spanish Rice? Spanish rice is surprisingly easy to make! 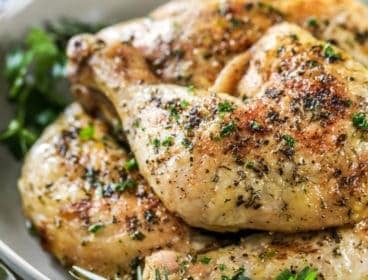 You’ll start with a little bit of oil and melted butter in a deep saucepan or Dutch oven and heat until the pan is hot. Next, add your finely diced pepper and onions and your rice (I recommend using long grain white rice for this recipe). 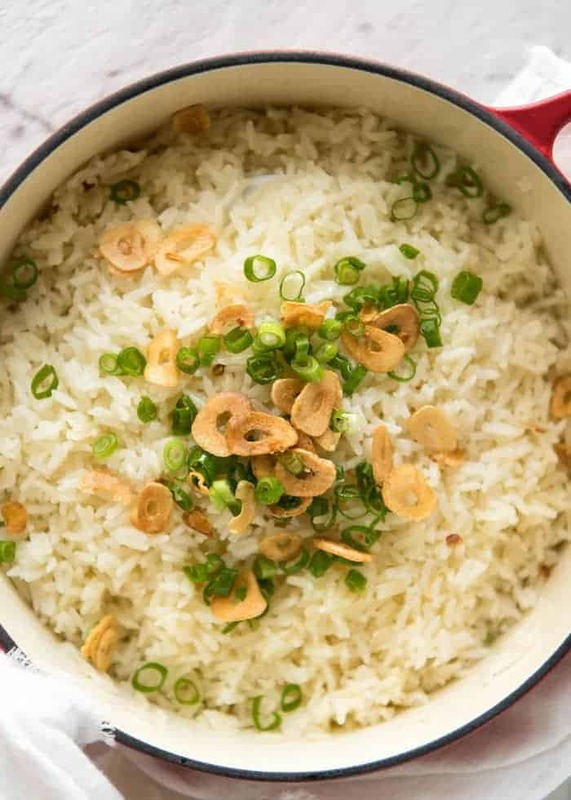 Cook until the veggies are tender and the rice has begun to turn golden brown, and then add a few cloves worth of minced garlic. 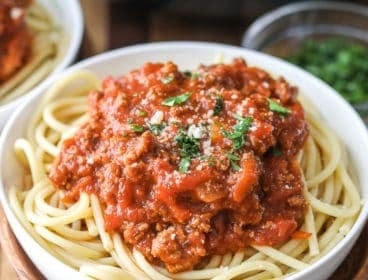 Finally, you’ll add the remainder of your ingredients: diced tomatoes, tomato sauce, chicken broth, and spices, and bring the mixture to a boil. Reduce the heat, cover, and simmer your Spanish rice until most of the liquid has been cooked up and the rice is tender. If you like a little extra heat with your Spanish rice, you can increase the amount of cayenne pepper that you use in this recipe. I stick with a conservative 1/4 teaspoon, which gives it just a touch of heat but isn’t overwhelming. 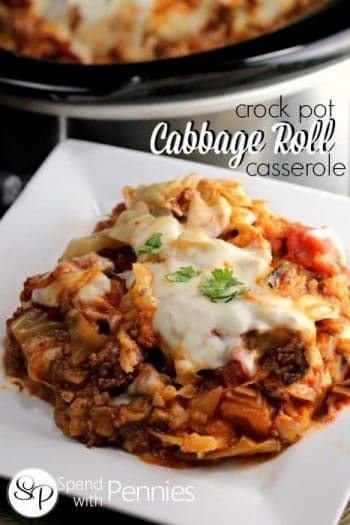 What Should I Serve With Spanish Rice? 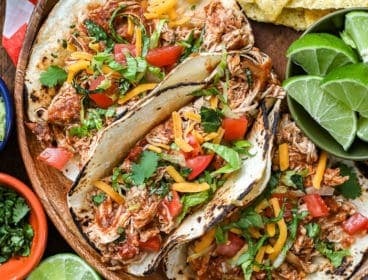 Spanish rice goes best with Mexican-themed dishes including crockpot chicken tacos, fajitas, or carnitas. 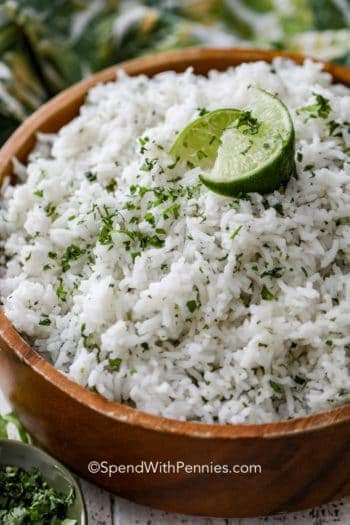 However, this rice should not be limited to just Mexican dishes! 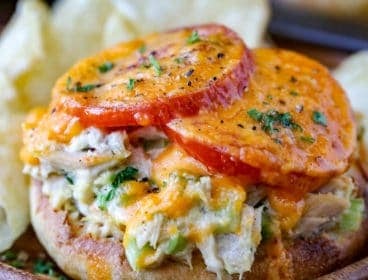 We also enjoy it as a side with everything from pizza to pulled chicken sandwiches! 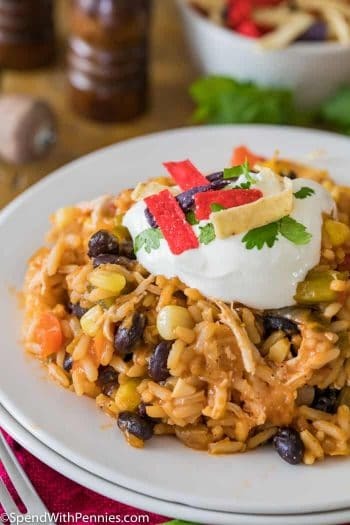 I’ve also made this Spanish rice recipe into a full-fledged meal in the past by adding leftover shredded chicken — delicious! 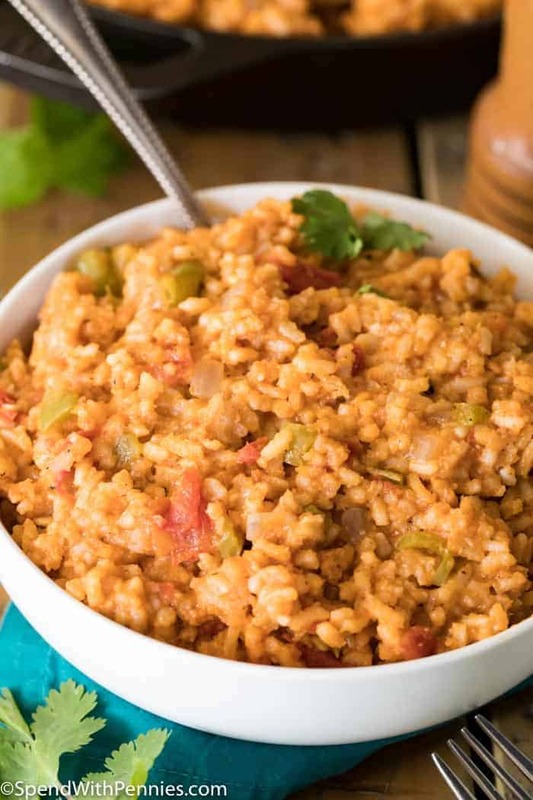 Spanish Rice is a festively flavored side dish is a guaranteed winner around the dinner table. It can be made in just one pot, and it is easily adjustable to be as spicy (or not spicy!) as you’d like! 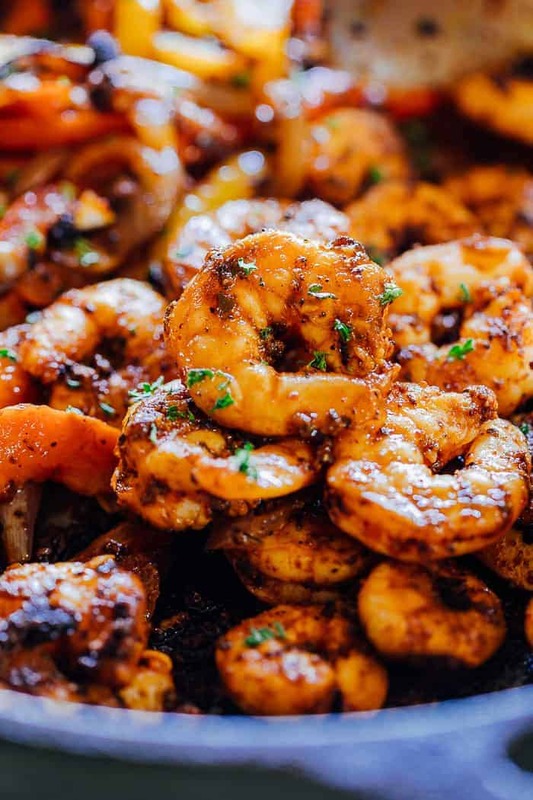 Combine olive oil and butter in a deep saucepan or dutch oven over medium heat. Heat until butter is melted. Add rice, onion, and bell pepper and cook until rice is golden brown and veggies are tender. Add undrained diced tomatoes, tomato sauce, chicken broth, salt, pepper, chili powder, paprika, and cayenne pepper and stir well. 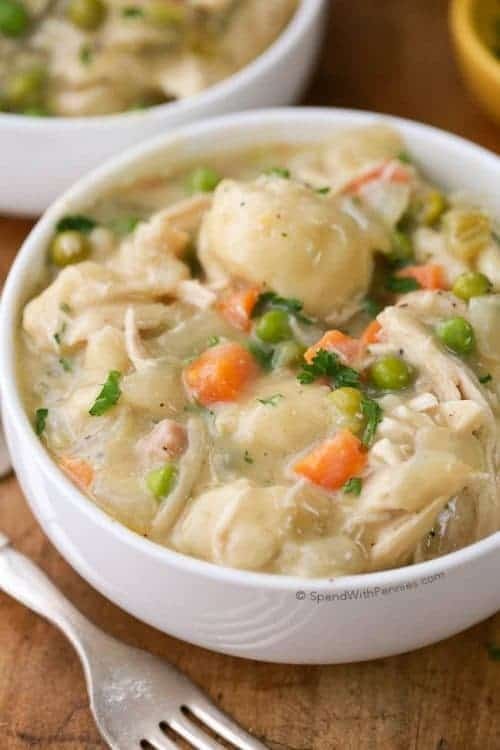 Bring to a boil, cover, reduce heat and simmer 20-25 minutes or until rice is tender and liquid is absorbed. 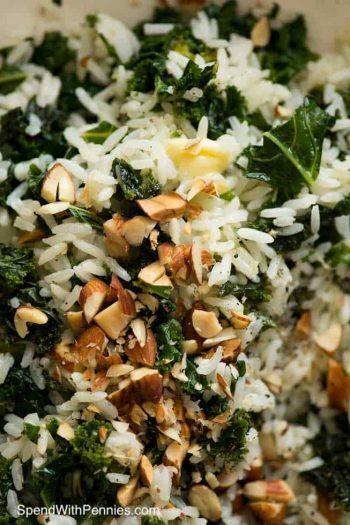 Allow rice to sit covered about 5-10 minutes to absorb any liquid. 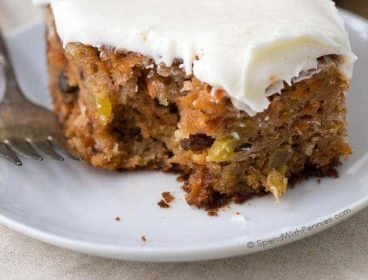 Stir, fluff with a fork, and serve.